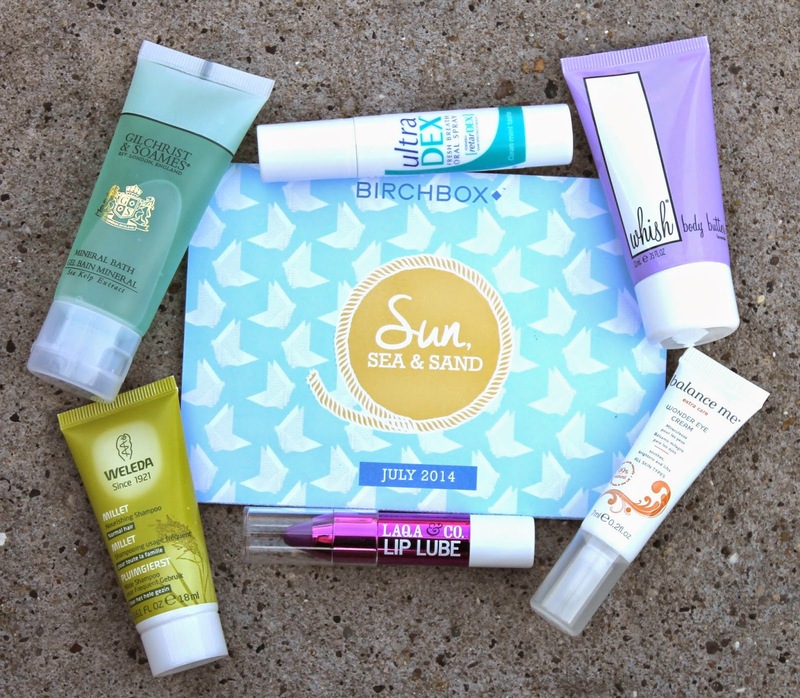 This month's Birchbox is all about Sun, Sea and Sand, the perfect theme for beach goers with amazing travel sized products to fit perfectly in your beach bag. If like me, you don't yet have a holiday planned, sigh, these are great products to get you in a summer mindset, at least we can pretend! I liked that this month's box was less varied, the only thing I hate about a subscription like Birchbox is the jealousy I get when someone get's something I didn't, don't pretend you don't do the same! Balance me are fab brand! Their products never dissapoint and they always look great too. This 'three in one multitasking' eye cream smells amazing! It's light, soft and cooling on the the delicate eye area, leaving skin soft, smooth and brighter. I've been using this for a little while now and I have to say I'm impressed, especially with the sample size being a generous 7ml. Although a little dissapointed with the colour, I'm just not a purple kinda gal, this lip lube is actually a great product, 'this easy-to-use lip pencil provides high gloss and sheer colour' without any effort! 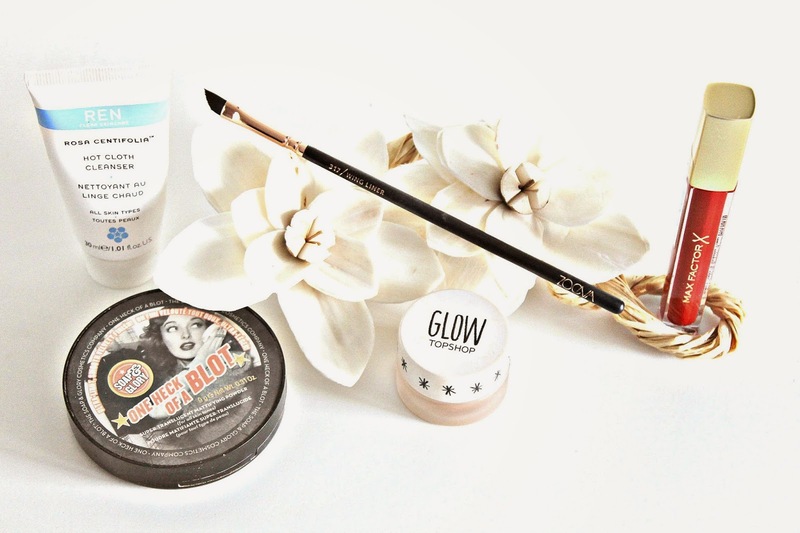 The minty scent immediately drew me in and the buttery formula kept me reapplying! So far, so good! 'This delightfully foamy Sea Kelp Mineral formulation is perfect for a light summer evening bath – it contains therapeutic marine nutrients, vitamins, and extracts that invigorate the body as the warmth of the water releases its fresh citrus and herb fragrance.' This mineral bath smells so fresh, like the products you would find in a spa! This left me feeling relaxed and left my skin super soft. I've never tried any products from Whish before, but I love the name and the product smells so amazing, I'm already hooked. This lavender scented body butter is perfect for lathering on after a hot bath to relax you for the evening. It has such a luxurious feel to it, it keeps skin soft and hydrated and I can see myself repurchasing this pretty soon. I often find the lifestyle extras in Birchbox a little bizarre but I can't complain about an extra product in my box! This Oral spray makes keeping you breath fresh throughout the day so easy. This made it's way straight into my work bag and is great for those moments when you've had something for lunch that makes you feel wary of your breath around others, simply spray a few sprays in your mouth after eating to keep your breath fresh for the rest of the day. 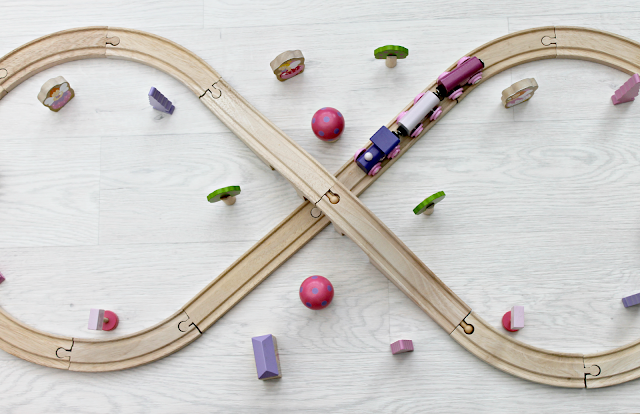 Are you subscribed to Birchbox yet? It's not often that I will completely fall in love with a mascara and It's not often that I really stick to just one, unless it really knocks me off my feet! 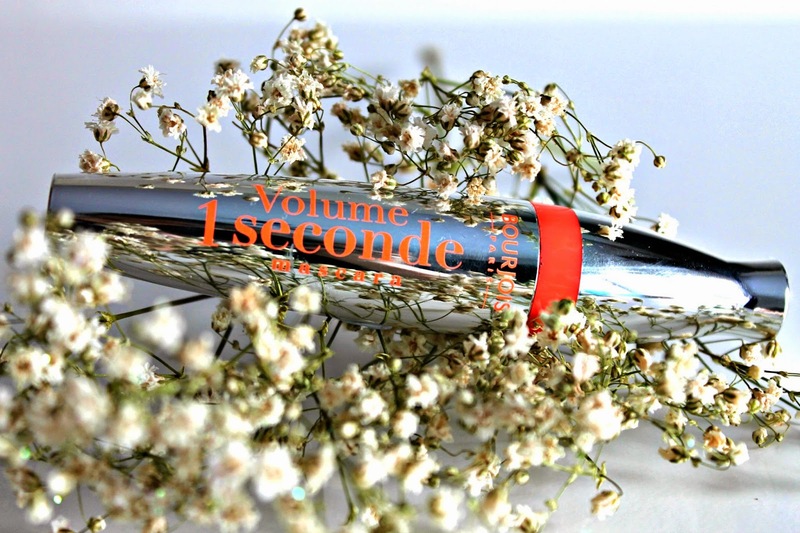 When I bought the Bourjois Volume 1 Seconde Mascara, I didn't even need a new one, it was just another case of being sucked in by the hype and the pretty displays so much, that I simply couldn't resist! 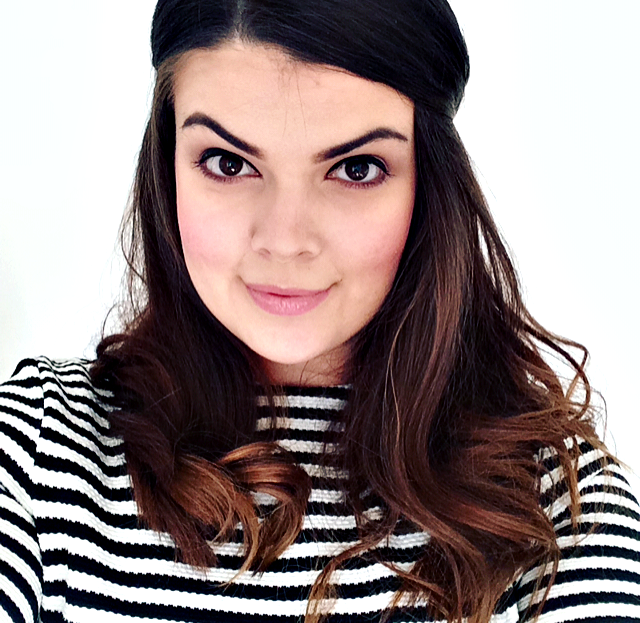 Bourjois are a company that I have always had a love for, as a teenager, I always lusted after their products, but my pocket money never quite cut it, as soon as I gained a full time job, Bourjois quickly became the brand I would save my money for. Aside from their ridiculously pretty and chic packaging, which my eyes are instantly drawn to, like a magpie to a coin, the thing I love most about Bourjois is that they are constantly bringing out new products which are so on point with the current trends and their products always work! At £9.99 I do feel this is bordering on a little expensive for a 'drugstore' product, aren't they all? so I was hoping and praying that it would be worth the hype and pennies! With a 'unique brush' containing 'spherical bristles to wrap every lash in a 360° motion and straight bristles to create clump free definition' aiming to create length and volume in just one second, Bourjois are promising quite a lot, but have they ticked all the boxes? You know the saying 'love at first sight' well this was a pretty similar kind of thing, I instantly fell in love with the packaging, simple yet sophisticated with a chrome base, almost fluorescent peach writing with an easy to grip handle and I fell in love with this product after my very first application! I have never loved using a mascara as much as this one, don't get me wrong, I've tried some amazing ones that I love using but I've never found one that I haven't wanted to put down, until now! Although this is advertised as a volumizing mascara, I have never seen my lashes look so long until I applied this. I apply one coat from root to tip to lengthen my lashes, repeating on the other eye, I then come back to the first eye and apply another coat in a zig-zag motion from root to tip, which volumizes the lashes without any clumps whatsoever. Yes, I know this is a 1 second mascara, and a coat on each lash can be done quickly to achieve great lashes, but I like to take time with my application to build up the length and volume equally and to it's full potential, my eyelashes are non-existent *sobs* so cut me a little slack please. Although I don't actually know how long this is supposed to last, I usually get around eight hours before I get any fall out and even when I do, the fallout is very minimal and I don't get it after every application so I don't mind. Aside from the fallout, the length and volume are kept until I remove it, I haven't experienced any smudging whatsoever and I have found that a simple cleansing oil will remove this with ease. 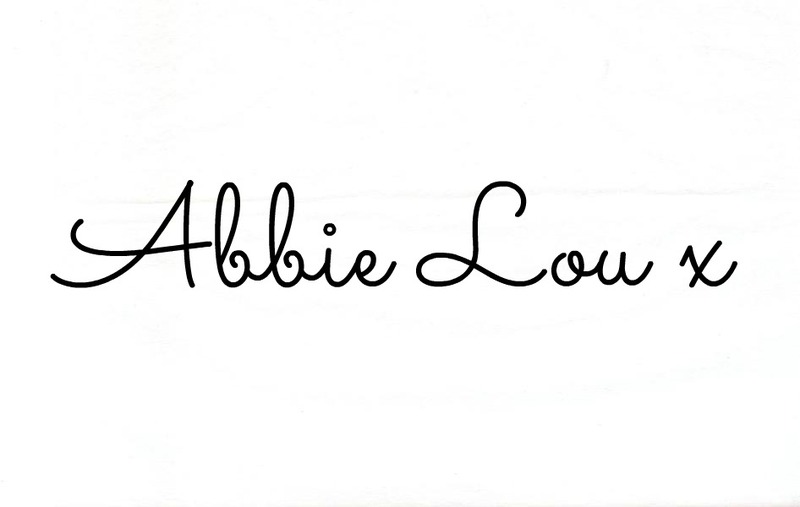 This mascara also comes in a waterproof version, which is perfect if your going on holiday! I would give this mascara full marks, I am completely head over heels for this little number and although being a beauty blogger means that I will try other mascaras out, it's in my nature, I know this will be one of those products that I will always come back to. Could this become a new part of my new holy grail collection? watch this space! Have you tried Bourjois's latest offering yet? I bought this powder around two months ago after I noticed my t-zone becoming increasingly oily and my make-up quickly sliding off of my face during the day. I was hoping that this promising offering from Soap and Glory would do the trick, an empty case later and I can gladly say this product is everything it promises to be! The best quality for me is that this powder adds no colour to your face, allowing you to be tango-free, providing your foundation isn't orange, therefore offering a one-colour-fits-all product. 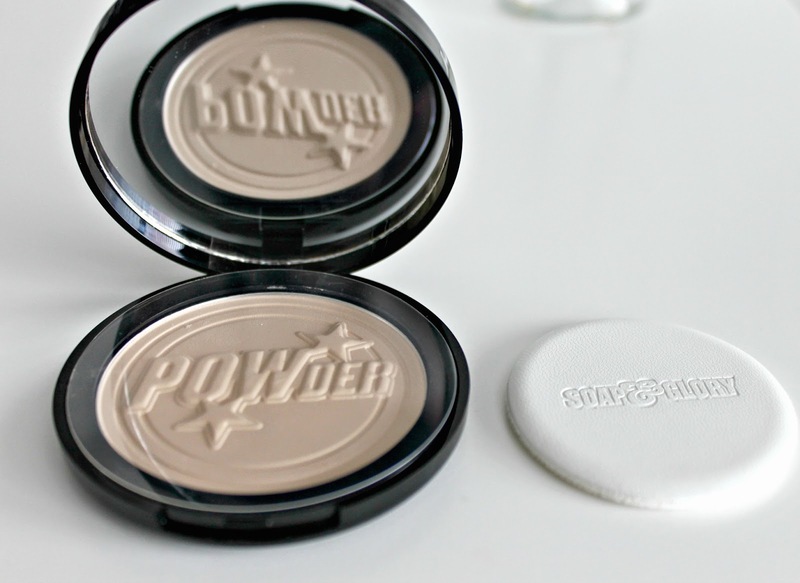 The powder is a silky smooth consistency, gliding over the face with ease and without disrupting your base too much. There is a powder puff with the product, if that's what it's called? however I like to apply this to my t-zone with a brush, leaving the powder puff for touch ups during the day. 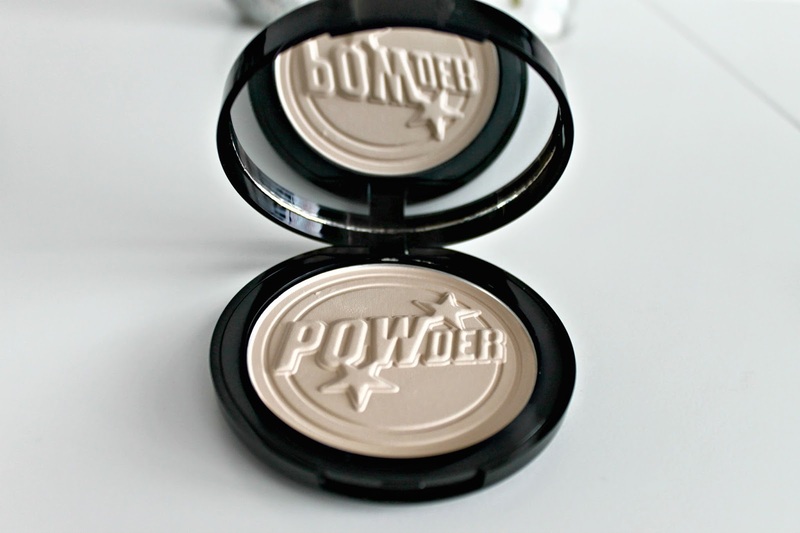 The powder has fantastic lasting power, keeping shine at bay and your make-up in place throughout the day. I love the packaging, which features Soap and Glory's typical retro design, the case is also very sturdy meaning it's safe left in your bag in case you need a touch up during the day, but don't hold me to that. I would highly recommend this product and will most definitely repurchase! 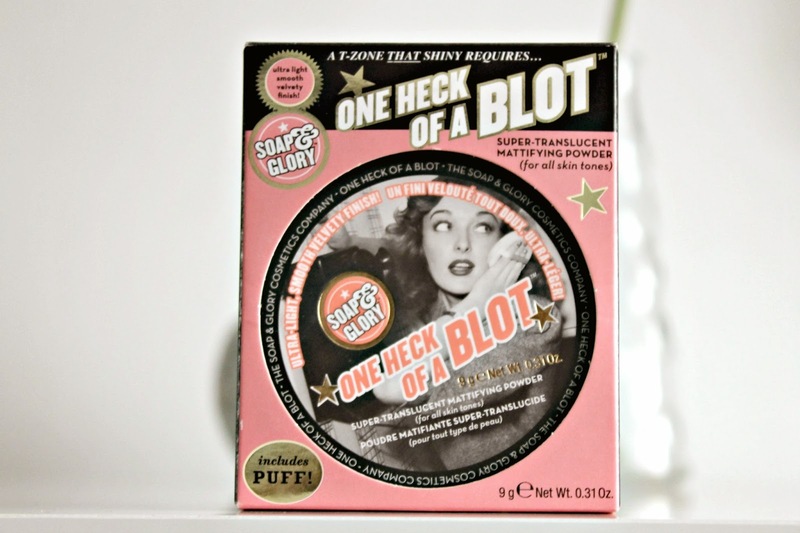 Have you tried One Heck Of A Blot? I fell in love with this skirt as soon as I saw it online, I often go for skater style skirts as they pull me in at my waist and skim over my hips, flattering my shape and giving me a little more confidence. I was amazed that they did this in the tall section on the ASOS website and I didn't hesitate to add it to my basket, however I was a little disappointed when it arrived, as the length, as you can see, isn't any longer than a regular skirt, so it is a little on the short side, but I still kept it anyway as I love the bright floral print. I decided to keep everything else in this outfit quite neutral opting for my Topshop cream cami and my ASOS cream kimono yet paired with my lemon bag to bring out the colour in the skirt. The white jelly shoes are from River Island about four years ago, maybe even more, the only reason I ever kept them is because they smell like cherries, maybe that's a little sad, but they came back in fashion didn't they?! So it was worth the dust! My blogging may be a little scarce this week guys as there is a fault with my laptop and it's been sent off for repair, Dan's brother has been kind enough to lend me his to write this post and I will borrow it when I can but I won't get my laptop back until the twenty first. I feel completely lost without mine and I will lose everything on it, including all of my blogging pictures which I had a little cry about, I know, I know, I should have backed them up, but I guess I will learn for next time! So please bare with me and hopefully it won't disrupt my routine too much. How do you wear your patterns? With the heat we've been lucky enough to have recently, my makeup has pretty much just been sliding off of my face during the day! 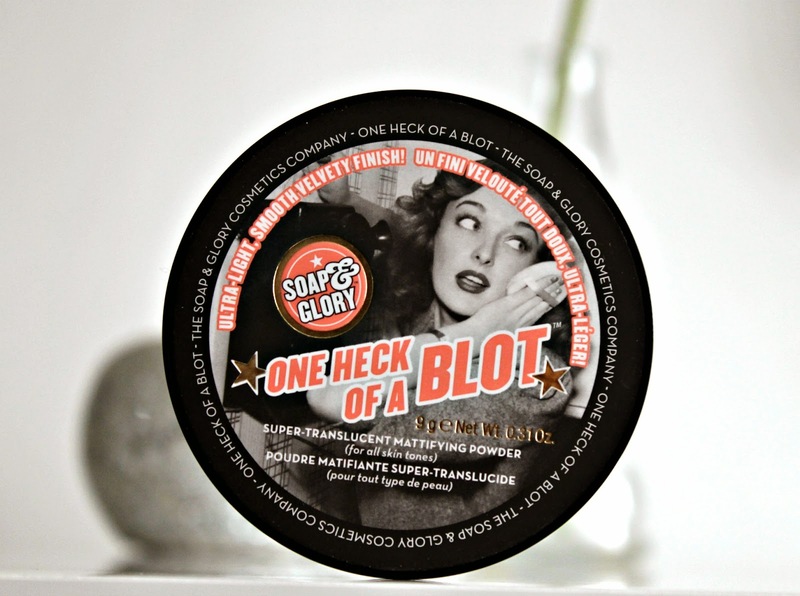 Although I prefer to go without a powder during the summer, I have had to turn to Soap and Glory's One Heck of a Blot on many occasions to help keep the shine at bay. I only use a light dusting along my t-zone with a powder brush and then I carry it in my bag to touch up when needed. On the days that have been a little cooler, I've been loving Topshop's Glow Highlighter in Gleam to give me that natural highlight on my cheek bones for day and I'll add a little to my forehead, nose, chin and cupids bow too if I'm going out in the evening. Zoeva's Wing Liner Brush, Mine is from the the Rose Golden Luxury Set but you can purchase the regular one here, is perfect for shaping brows! It's so easy to use and is the perfect size and angle to use with my Anastasia Beverly Hills Dipbrow Pomade to create a strong angled brow. 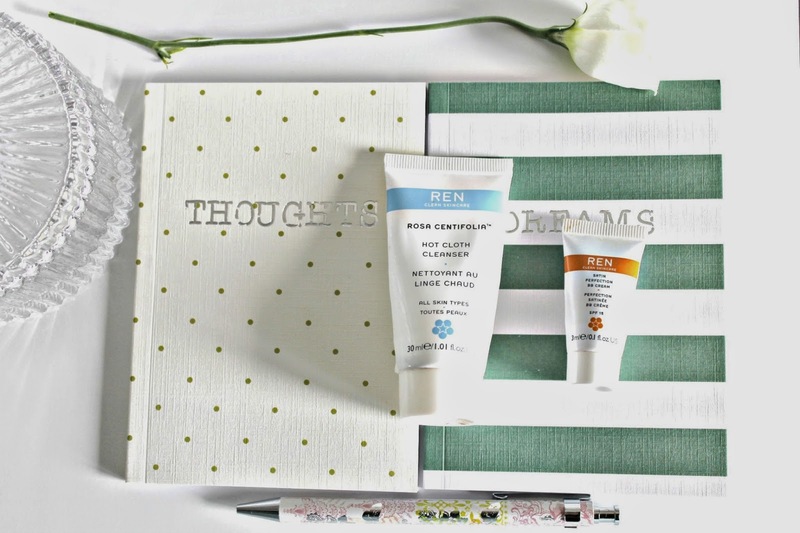 I got this Ren Hot Cloth Cleanser in a sample size with last months Marie Claire magazine. I was so excited to try this as I'd heard such good things. It came with a little cloth and I've really been loving using this, it's left my skin feeling super smooth and smelling lush too. I love a red lip, it makes me feel classy and picks me up when I need it, this Maxfactor Color Elixir Gloss £7.99 in captivating ruby, part of a free set in Boots last month, is the perfect lip product for summer, it's a non-sticky lip gloss that leaves the perfect amount of colour without being too bold, meaning it's perfect for day or night. What did you fall in love with last month? Sliders are pretty ugly shoes aren't they? the kind of shoes that remind me of my Nan, but I also think they're kind of cool, worn the right way. I wanted a pair of the real Birkenstocks however I just don't know if I would actually wear them that much, so I headed to Primark for a cheap pair to test run first. 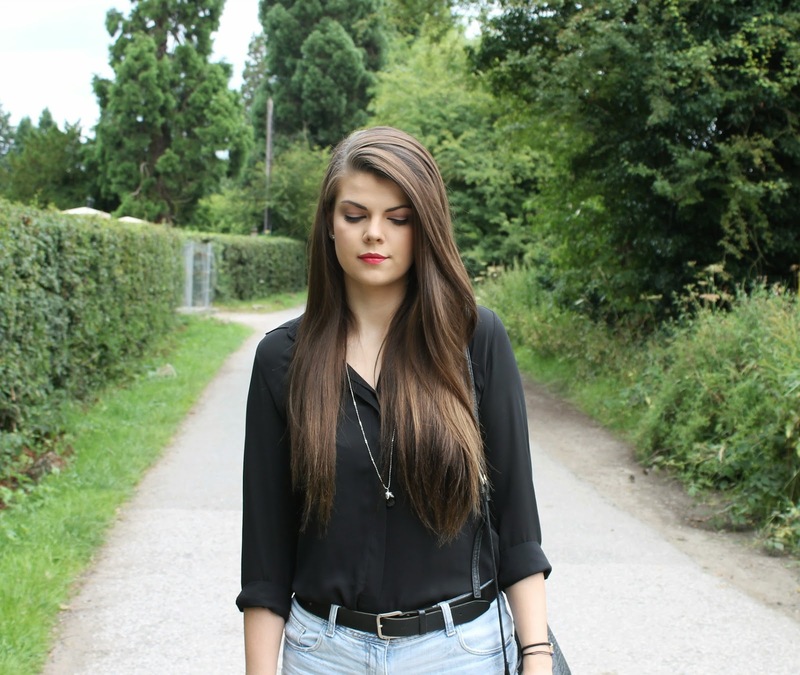 I decided to opt for these denim shorts, which I bought six years ago from River Island, they have always been my 'inspiration' shorts that whenever I put weight on, I keep to motivate me, this time two years ago I was two stone heavier than I am now and I aimed to get back in these, with a big push from my IBS, I got back in them! I love how distressed they are and they never seem to outdate, it'll take a lot to let go of these! With the weather changing it's mind every five minutes, good old England, I decided to team them with my black shirt, as I get chilly on my top half a lot quicker, I just rolled up the sleeves to keep the look casual. Think look is a little different for me, however I've spent countless hours on Pinterest and Instagram looking for inspiration, where do you look for outfit inspiration? Argan Oil hair care products have been so popular over the past few years or so with Morrocanoil being the most popular, but could Argan Dew become a game changer? I'll admit, I haven't tried Morrocanoil, it's pretty expensive and therefore I've always held back, instead opting for it's cheaper spin offs. However all the one's I've tried so far, I couldn't even name one, obviously I was impressed...have made my hair greasy, lank and I've just had to wash them out straight away, gaining no benefits, so I'd pretty much given up hope, that is of course until I was contacted by the lovely Marine at Argan Dew. I was kindly sent some samples by the Marine a couple of weeks ago, I was lucky enough to receive a few sachets of each of the Argan Dew Replenishing Hair Masks and their Miraculous Argan Oil Daily Hair Treatments. 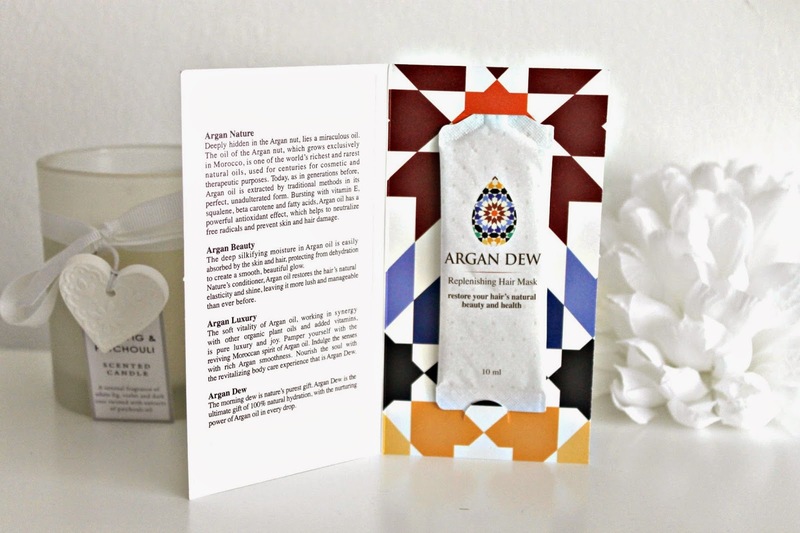 Argan Dew are a new hair care company based in Israel, however even with them being so far away, I received my samples within around 15 days, which I was pretty impressed with. The Replenishing Hair Mask is 'a powerful hydrating mask designed to repair dry, damaged, or colour-treated hair and restore it's natural beauty and health.' Similar to conditioner in consistency, the mask is easy to distribute evenly through the hair with your fingers, however I would recommend using a comb after massaging this in, to ensure that it covers your hair from roots to tips, for best results. The Argan Oil helps to 'protect and restore your hair's natural shine and vitality.' It's almost gel like texture is quite thick on first touch, but turns quite silky when worked in, again this is easily distributed through the hair with just your fingers, I only apply this from mid length to the tips of my hair as I don't want to risk making my hair becoming greasy from too much product at the roots. The thing that surprised me most is that with my hair being so long, coarse and damaged, it takes weeks before I start to notice the difference a product makes to it. However with both of these Argan Dew treatments I noticed immediate results! The first time I chose to use these products, I decided to have a pamper night whilst the other half watched football, you know how it is! So I washed my hair, lathered it from root to tip in the hair mask, popped on a face mask and watched Gossip Girl whilst having a soak in the tub, perfection! Although it says to leave on for 5 minutes, I left mine on for around 20 minutes, after removing my face mask, I rinsed my hair in warm water, with the last rinse being cool water, to seal in the moisture, and then applied the oil to the ends. I then brushed my hair through, applied a heat protector before blow drying. I honestly couldn't believe how soft my hair felt and it smelt uh-mazing, not to mention the comments I've received, the next day a customer asked me what products I used on my hair as she said it looked 'so healthy and shiny' and that was just after one use! Even though the products are quite rich, they surprisingly don't make my hair greasy, sure I have to wash my hair a little sooner than usual but I always do after using treatments, but I love that even after re-washing my hair stays shiny for ages after using this. Although these products can be used separately and on a daily basis, I have been using them on a Sunday night when I usually 'pamper' and have used them as a duo to get the best results. These products are a little pricier than my usual hair treatments, however they really are worth it, a little goes a long way and used correctly, they really are worth the money, not to mention the company do not test on animals and all of their products are SLS/SLES free. 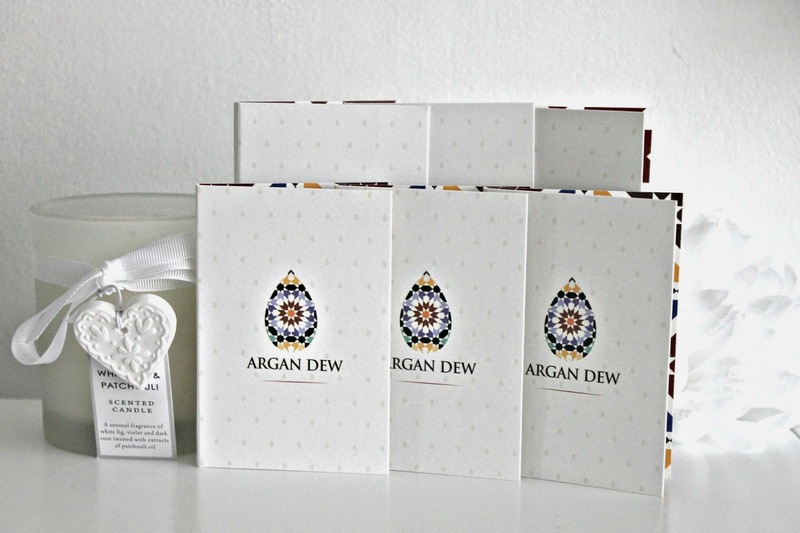 Argan Dew Products can be purchased at www.argandew.com they can also be purchased on Ebay and Amazon. 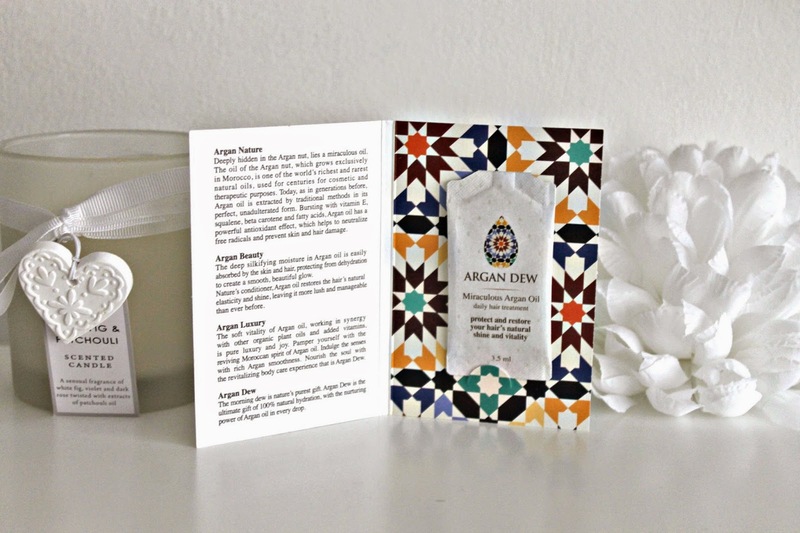 Have you tried any products from Argan Dew yet?